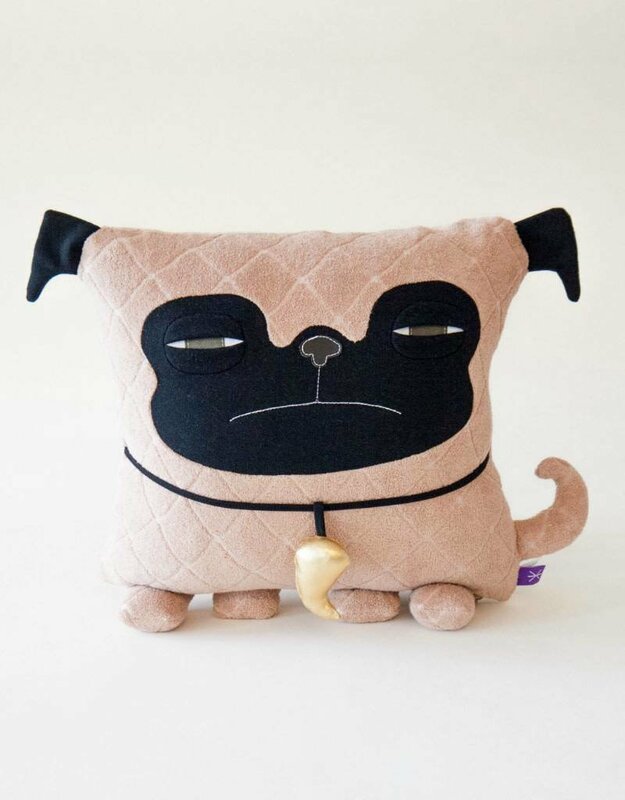 Pug was created for the first time as a large pyramid with three rounded sides, with a face and a cork tail. 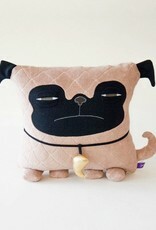 It was made for a fan of pugs, who owned one named comma (hence the shape of his pendant still present today). Made of terry or velours 80% organic cotton, 20% recycled polyester.